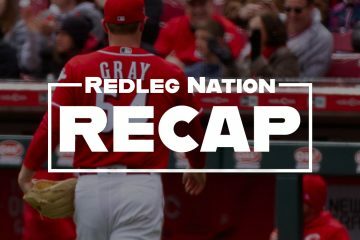 The Short Version: Scooter Gennett has five hits and made a game-saving defensive play to lead the Reds to a one-run win. Baseball is fun! –Scooter Gennett just keeps rolling on. He was 5 for 5 tonight, with a first-inning home run, and he’s now hittingÃ‚Â .337/.374/.554 on the season. Plus, he made a nice defensive play to end the game (see below). Simply magnificent. –Tony Cruz was 2 for 4 with a home run and 2 RBI, if you can believe it. –Amir Garrett pitched a perfect inning, and looked dominant in the process once again. –The Reds turned four double plays tonight, which certainly helped. –Colorado’s Charlie Blackmon hit a ball to the left-center field fence that tied the game in the bottom of the fifth, but he was able to advance to third (it was scored a triple) because Billy Hamilton dropped the ball as he was trying to pick it up. One batter later, Blackmon scored on a short sac fly to left that Adam Duvall couldn’t get out of his glove; if he had made a clean transfer, there’s an excellent chance that he would have gunned down the runner at the plate. Two small plays, neither was scored an error, but both contributed to the Reds losing the lead at that point. –Back and forth game, with the Reds blowing leads left and right…before coming back to win. Baseball is a strange game. –With the Reds down 2-1 in the fourth, the Reds took the lead thanks to the most unlikely of sources. Brandon Dixon walked to lead off the inning, then Tony Cruz blasted a homer down the left field line. It was the hardest ball I’ve ever seen Cruz hit, by a factor of ten. 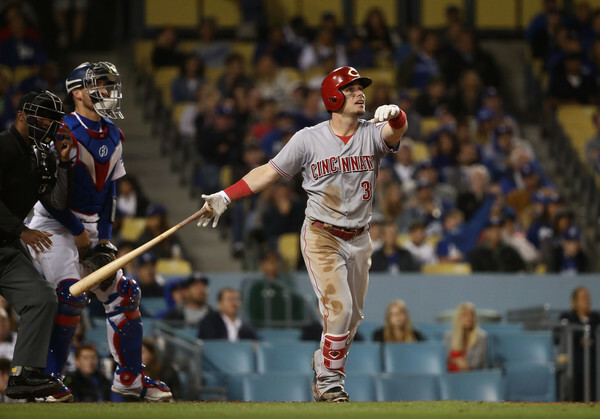 –Down 4-3 in the seventh, the Reds got their bats working again. Scott Schebler led off with a single, and scored when Hamilton followed with a triple to the fence in left-center. I’m pretty sure it could have been an inside-the-park home run, but Reds 3B coach Billy Hatcher threw on the brakes (and that was probably wise, with no outs and a tie game). Jose Peraza and Scooter followed with singles, and the Reds took a 6-4 lead when Peraza scooted home on a wild pitch. –Not a great start by Tyler Mahle, who went five innings and allowed four runs on six hits and four walks. Sure, Colorado is a tough place to pitch, but the kid is learning some lessons these days. –In the bottom of the eighth, Hamilton ran about a million miles to track down a potential extra base hit in the gaps. Combine that with his almost-ITPHR, and it looks like Hamilton could be a star if he played half his home games in Denver. –With the Reds clinging to a 6-5 lead in the bottom of the ninth, Jared Hughes came on to pitch. Infield single, double, walk…all of a sudden, the Rockies had bases loaded with no outs. Preview: Reds are going to lose this one on a walkoff. But no! Hughes induced a ground ball to first, and Joey Votto fired it home — Cruz couldn’t corral the throw initially, but he jumped on it quickly — for the first out. The next Rockies hitter lined a ball at Scooter, who dove to his right, caught the line drive for the second out, then quickly tossed it to Peraza to double up the runner at second base. Game over…and this one belongs to the Reds! –Rubber match tomorrow afternoon. The immortal Matt Harvey will pitch for the Redlegs. Cruz' first HR since 9/30/15 gives the Reds a 3-2 lead. That ?? left the park in a New York minute. Cruz records his first HR as a member of the @Reds and he didn't leave any doubt. Garrett now has stranded 14 of 16 inherited base runners. I was at the game tonight, and Cruz absolutely destroyed that ball. I was shocked. The youth of today… Think they deserve the world on a platter and aren’t afraid to whine when they don’t get it. So has said the older generations since time began. Attributed to Socrates, who died 2400 years ago. Yeah! Finnegan should get off your lawn! It’s time for the Reds to look for starting pitching beyond Reed, Stephenson and Finnegan. Maybe in the relief corps if they can mentally handle it because they’ll never get beyond the 4th. inning. In his defense, sort of, the Reds don’t demote ALL of their terrible pitchers (or position players, for that matter), which must seem unfair to the ones who do get demoted. Still, the idea of a manger who coached most all of them at AAA and is known for a short leash is fine by me. It makes sense in a rebuild to have a manager that has more knowledge and is use to a fluid active roster! To trade Scooter makes no sense on any level. He’s not old, he won’t break the bank, he produces and you would piss off your dwindling fan base. Offer him a reasonable 5-6 year deal letting him know he will be used in multiple different ways over those years depending on growth of younger players and then this issue is settled. That would be the smart baseball move on multiple levels. Since the Reds are in last place, the question is will they get rid of Scooter for prospects? The chorus on both sides, keep and trade, seem to be about equal. The problem with your statement is that it absolutely makes sense to trade him. It also could make sense to extend him. If he is extended then trading makes no sense, if he is not extended allowing him to leave via free agency makes no sense. The problem with offering him a 5-6 year deal, especially if you tell him his position is dependent of the younger guys is, it is going to cost a lot of money. I think he would gladly choose a competitor that says your the 2B as opposed to your position is based on how our prospects develop. It comes down to how many years does he want and what will it cost per year. He is going to be making at least $7 next year through arbitration, so negotiations will have to start there for any long term deal. You also have to look at the risks with long term contracts as well. Mesoraco and Bailey’s contracts have been disastrous, the BP extension didn’t work well, and look at the number of people complaining about the potential age related decline Votto will have in the final years of his contract. I would argue that trading Gennett this year makes sense on a lot of levels. Keeping him only makes sense if you expect him to keep up current levels of production by bucking the age-decline curve that is pretty consistent throughout baseball with position players. Also if you don’t believe that any of Senzel, D. Herrera, Long, or Blandino will turn out to be everyday players at 2B then maybe you consider it. Even then, we’re not talking about replacing Votto or Suarez’s production levels. Scooter amassed 2.3 (f)/ 2.4 (b) WAR last season, in a career offensive year, which was 5th on the team last season amongst regular position players and only a tick (2.3 bWAR) Iglesias’ total for the season, who as a reliever obviously plays a lot less. He has hit at a high level for a long enough period of time to suggest the offensive output increase of the last two years is legit. He’s extremely hot right now, so the production will come down some as he’s still carrying an unsustainably high BABIP (it’s about 50 points about his BABIP last year in a career best year). But even when that averages out he’s still a very good hitter. There should be a good market and that he’s controlled for 2019 through arbitration adds value. His trade value to the Reds is at an all time high and that’s when players in their prime who aren’t controlled long term should be traded. The Reds have a lot of needs still and not much readily available help in the upper minors or trade chips that could have an impact return, other than Iglesias. Trading Gennett should bring back value to help the Reds bridge the gap between the current young talent and the next wave that’s in A+/A ball. Gennett is also at the one position the Reds do have a lot of young, near ready talent in the minors. If you offer him a 5 year extension you will be paying him during his decline years. If we thought the last couple years of Brandon Phillips’ deal was bad, I would expect this to be worse. Even if the extension buys out his last ARB year we’re talking about paying for his age 29-33 seasons. And where would you use him in multiple ways? He’s graded out as one of the worst defensive 2B and the defensive numbers (FWIW) are worse at every other position. Maybe you could stick him in LF (which would be at the expense of Winker’s development and/or OF defense) for a little bit. I’m hoping in that by the second half of 2020 (which would be year 2 of the extension in this instance) we’re going to have Trammell, Siri, Fairchild, Friedl, etc knocking on the door. This team is being carried on by Gennett, Suarez and the bullpen. Scooter for ASG. Go Reds! He’s absolutely the starting 2B for the NL based on what he’s done so far this year. It’s been 6 games since Iglesias last pitched. The Raisel-less bullpen has thrown 22.2 innings in those 6 games giving up 19 hits, 7 runs (only 5 ER), 12 BB, 14 K, & 2 HR. I believe that’s under a 2.00 ERA. Trading Iglesias would be a big loss, but I think this group would still be effective overall. So it comes down to exactly how much talent the Reds can get for one of the better closers in the game. As for Finnegan, maybe he has a point. I say promote him to the ML club ASAP. Let him pitch middle relief out of the bullpen. Let him pitch 3 games out of 5, & then not for a week – 10 days. Maybe he’ll recognize the “kid gloves” he’s been handled with, or he’ll have found his new home in baseball. He is on the 10 day DL. Good team win especially because Billy,Peraza and Cruz made big contributions offensively.We don’t win unless that happens but some how this club needs to realize where the holes are and fix them.As far as Scooter is concerned I hope he stays on fire and somebody offers the Reds a bunch for him. An exciting game has been a rarity this season. Yes, we won which makes it more so but it was back and forth plus a joy to watch Scooter hit. The 9th was incredible. Almost playoff-like. Give Riggleman credit. He has these guys playing good baseball. As for Finnegan: quit whining and focus on pitching better. You deserved to be sent down. Nice win for the Reds. They need to see that it’s okay to go ahead and win the close ones. And kudos to Cruz, not just for the laser shot home run, but for saving the game in the 9th. Votto had more time than he thought and rushed the throw to the plate, short hopping Cruz, who blocked it and picked it up with his bare hand. If he misses that the Reds lose and that’s in Votto, not Cruz. So two stars tonight – Gennett and Cruz. I didn’t see the Finnegan comments, but really? You get paid handsomely to play a game and you’re whining? Man up and pitch better dude – it really is that simple. Finally, I love how much better the Reds are playing. The bullpen has been great. Three starting pitchers have been pretty good. The offense is more reliable. Imagine how things would look if (when?) Joey Votto starts raking again. It feels like it’s time for Joey to flip that switch. Who is the third starter who has been pretty good? I’ve got Castillo and Harvey but have a hard time rating anybody else as pretty good. Mahle has shown flashes; but, I don’t see him trending upward right now. Last night was his 11th start of the season. His numbers in May (last 5 starts) are worse than his accumulative numbers for the season. In May his K/9 rate has dropped by 2 down to 6.39 and his BB/9 rate is pushing 4 (3.91). His May xFIP is up to 4.90 versus 4.08 for the season as whole. There is a case to be made that the league has seen him, figured him out; and, he is yet to make successful adjustments. To be clear, Mahle is in the process. He either figures it out and succeeds or he doesn’t. There probably isn’t any “baseball” reason to send him down for seasoning at this point. But on the other hand there are no guarantees he is going to succeed over time. Finding that answer is what the process is about. But I would send him down now Jim for the reasons you mention. Work on his curve, skip a start and miss super 2. I don’t deeply disagree with you. I think Mahle looks close enough he might get things figured out on the fly at MLB. He is not getting clobbered like Reed (and some others) back when. So, I don’t see his mojo being at risk right now if he stays up a while longer and tries to work through. Service time is one of those non “baseball” reasons. After the experience with Amir Garrett last year, I think it is best to be very careful on that account. Make sure there is a clear baseball reason the kid understands before doing it. Mahle consistently worked from behind last night. He’s lucky the Rocks only scored 4 runs. I don’t think sending him down would help, except for the service time thing. Sometimes it’s not rocket science: get ahead of the hitters. Yes! Thats why I’ve been suggesting they trade Billy to Colorado for atleast 2 years now! I can’t believe the Rockies haven’t put together a decent offer? I just know what they have in return? He’s hitting .340 or something lifetime in Coors. They can’t play him shallow because any ball that gets by them is an inside the park HR plus he can save them multiple runs each homestand. Overall great game though! Mahle had really good stuff 95-96 mph but he really needs to start 0-1! He was going 2-0 and 3-1 way too often. Plus he needs a splitter or a changeup….something he can show the hitters. Unless you throw 100 then its hard to blow the fastball by anyone 3x in an atbat. Dahl swung and miss twice and finally timed it for the 2 run double. He’s got great potential though….poise on the mound and can get a decent amount of doubleplays for a flyball pitcher! Lorenzen needs to start! Garrett needs to start! Give them a chance before they’re forever stuck in the pen. Their stuff is just too good! Scooter needs to win the NL batting title. Something interesting to see in the 2nd half! What is it with Lorenzen that people keep seeing a ML starter? Well at least he says he wants to be a starter. My secret thought is that he wants to be a starter at least in part because he sees that as a possible path to getting back on the field as a 2 way player a la Ohtani because hitting and playing field is what he really wants to do and the opportunities are virtually nil when a person is on call in the pen. Why not? He’s got a live arm and he gets groundballs. He was good in 2016 and the first half of last year til he fell off. Its funny how RLN loves to pile on Lorenzen but many will make excuses for Peraza all day long….he’s only 23 blah blah blah. Lorenzen got rushed to the majors at 23 and barely pitched in college or the minors so he’s going to have growing pains too. I guess that, unless FO looks to trade for starting pitching, they should keep trying other guys after Harvey, Castillo and regretfully, Bailey, I see no improvement in Mahle & Romano, moreover, theyÃ¢â‚¬â„¢re getting worse with each outing. Until he proves he can be effective as a reliever I see no reason to give him a shot in the rotation. Lorenzen has a 3.47 SIERA since becoming a full-time reliever. Average SIERA for relievers in 2017 was 3.95. If you want him to become an effective reliever first, too late. And that is the crux of issue regarding Hamilton…the Reds have to WANT to trade him and another team has to WANT to trade for him. I’m sure the Reds can find ~20 teams willing to take Hamilton off their hands for a bag of beans. The problem is that Hamilton has more value in parks like Colorado, S.F., S.D., L.A., etc. than he does in GABP and he also has more value to playoff teams than the Reds. 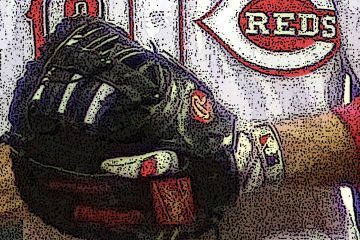 It’s not clear that the Reds are interested in trading Hamilton unless they revceive an overwhelming offer and it’s also not clear that any other team is interested in offering a return value for what they would be receiving. Since the S.F. fiasco this spring, there has been nil on the trade rumor front regarding Hamilton, or any other Red for that matter. On Finnegan, the other side of that question, is I’m not sure I would even want a pitcher that doesn’t want to be in the Big Leagues. He is still young, we can’t expect these guys who have been told all their lives that they are the greatest thing since the internet, to suddenly take being demoted graciously. The big question is how does he respond to getting better. That story is yet to be told. On one hand you want pitchers that are competitors! They don’t ever believe they should be taken out or sent down. On the other, you want pitchers to realize that they are not meeting the requirements needed to help the club win. In baseball, those criteria are clearly measurable. Does young Finnegan not see that he has not met those criteria? Finally, he has a valid point, the older (more $ invested) pitchers have a longer leash. Using the same criteria, Homer should be in AAA also. Unfortunately, Homer can’t be released as cheaply as Bronson was last season. L-ville has 3 self-proclaimed major-league ready starters in Finnegan, Bobsteve & Reed (4 if you count Disco). I expect Louisville to turn the ship around (currently dead last in the International League) and start winning if these pitchers are really ready. With a staff like that, how can L-ville not be competitive? Those two players might be the foundation for a solid Reds bench for the next 6 seasons. Both have good defensive flexibility if needed and Blandino can play solid defense. Would Bailley’s refusal to accept a demotion nullify his contract? Nope. Basically it would force the Reds to DFA him, which would come down to releasing him. They would still owe him his entire contract. MLB contracts are guaranteed and Bailey has way, way more service time than needed to be able to refuse assignment to the minors, according to what’s been agreed to in the CBA. Scooter is creating a real conundrum with every big game he puts up, isn’t he? However, even though his defense seems better of late, I don’t want him near 2nd except as a baserunner. I do wonder however if he could be a corner OF, most likely a LF. It is easy to say trade him; but who replaces the production? Senzel hopefully at 2B; but then what about the OF situation? None of them including Winker are really getting the job done offensively currently. Duvall is older than Scooter by almost 2 years and not producing. Schebler is only 4-5 months younger than Scooter and sporadic at the plate. Who mans the corners until the next wave basically at A+ arrives even presuming Winker comes around to take one spot? I wouldn’t go beyond 4 years term on Scooter, counting next season; but, unless the money required is outrageous, he just might be a good bridge option if he can play a corner OF spot better than Winker which looks like a pretty low bar right now. Regardless, because Scooter is under team control through the end of next year, the team doesn’t need to rush to judgement. They can take into the off season to decide; and may just get a better return then anyway. Oh yeah, if somebody makes an offer to good to refuse.Ã¢â‚¬Â¦Ã¢â‚¬Â¦. The end of next season may be all the bridge needed. The Reds struck gold with the waiver claim for Scooter, but I’m not sure about extending his contract. I’m also against trading him unless the Reds obtain a very good return. Scooter is on pace for a 5-6 WAR season. He plays for the Reds until someone ponies up value for an all star 2B. With Winker’s weak performance so far this season, I think it’s time to seriously consider Senzel as an OF candidate. Long looks like a very good 2B prospect killing AA this season and Blandino is proving capable at the MLB level. The Reds future needs do not include 2B and I’m good with Scooter at 2B until he no longer plays for the Reds. We agree that unless until Winker comes around offensively, all three OF positions need to be considered wide open looking forward. From what we’ve seen of Winker so far defensively and as a base runner, I don’t think he can generate the offense to hold his spot based solely on OBP. He needs to show some slugging. Doesn’t have to be all home runs. A big time doubles machine with a ~.400 OBP might get the job done depending just how good the younger wave turns out to be. But he’s got to do better on basic defense even with that. If he is what we see defensively now is what we are going to ever see from him, i.e. Dunn or worse defense, he is going to need to really crank up the slugging. If he can hit like Dunn I would ignore his defense, but he is going to have to do more than hit singles and walk to have people overlook his defense. With that said even if he is just a singles and walk guy he can be valuable to the team. Not everyone needs to OPS over 1 to make a good team. Nah man, if he is just a singles and walk machine, his defense makes him a below average player. He’ll end up a 4th or 5th OF, albeit one that is super quirky. I honestly can’t recall a guy like him. Like, you see these one tool players out there, but you never see a guy whose one tool is to get on base. Hopefully, his swing just needs some slight tweaking and something clicks. I didn’t ignore Dunn’s defense. Doubles that should have been outs can do a lot of damage. We don’t how the young guys will develop but right now it looking like multiple of them may push Winker on OBP and quite possibly play circles around him in all other phases. What do think a fair return for Scooter would be on July 25? Let’s assume he’s slashing ~ .300/.400/.500 with 18+ home runs. If the reds got a top 5 organizational prospect/ pitcher who is proving that at the AA level or higher , that would be worth considering- patricularly a lefty with control and good peripherals. I think there are multiple acceptable returns. A legitimate SS, CF, or SP candidate would get my interest. I also wouldn’t turn away any offer that started with a highly rated prospect. What is not acceptable is trading for a “near ML ready” guy that doesn’t project to be much more that that. Trading away a valuable piece with team control should really be about getting the best talent available. Trade Harvey or trade Iggy if the return is there. Billy to Colorado makes alot of sense. Trade Stephenson if they’re never going to give him a real shot in the rotation. Hughes and Hernandez are 33….deal them if you can but pay Scooter and get him on board! He’s raking against lefties, defense has been better of late, and he’s a great clubhouse guy and local Cincy kid! Right now , Minnesota needs offense and is at risk of letting Cleveland pull away. Arizona is next to last in offense and their middle inf offense is poor. Both teams could be a fit for Scooter with a return of an impact starter by 2019. That slash line is a huge ‘if’. If his BABIP drops to last year’s (which was high for Scooter and higher than league average), he would be slashing about .290/.330/.475. Still good (and phenomenal for a waiver pick up), but not a .900 OPS. If the Reds could get a prospect who would be in their top 5 in exchange for Scooter, I’d do it in a heartbeat. There are things to love about Scooter, but this team needs more talent and has to acquire it somewhere. The following year of control (2019) on Scooter, albeit at an estimated $10M, makes him more valuable than a typical renter because the receiving team can use him in 2019 or flip him again in the off season or 2019 deadline. I think for the position the Reds want to be in,. the return needs to be a guy already at AAA who rates as a starter player at a position of need for the Reds. Or, alternately somebody already in MLB at a Reds position of need with at least 3 years of team control remaining. No more pigs in a poke or maybe in a couple of years guys. Yes…I agree. We are too far along in the rebuild to take steps backward…trade him only if we get someone ready to play MLB in exchange…and hopefully at an equal WAR level. Colorado has the 12th best prospect overall in 21 yr old SS/2B Brendan Rodgers (RH hitter). He has a .854 ops in AA with 10 doubles, 10 Hrs, and 5 steals in 175 atbats. I don’t know….maybe some combination of Harvey, Iggy, Billy, prospects could make it happen? There will always be guys that were deemed top prospects that don’t make it but most are pitchers.They always have and always will struggle when they make the major leagues.Position players are viewed much differently and all it really boils down to is can they hit big league pitching.Speed and defense transfers to the majors as does walk/strike out rates but you have to able to hit.I am all for trading anybody that will brings us a legit SS or CF or giving anybody that is playing those spots in our minor leagues right now.My point is if you already man those positions then you can field and run but can you hit which is the issue we face today with Billy and Peraza.Iggy and Scooter both should brings us one of those guys and if not well move on.Both continue to boost their value so lets see what happens.